iRULU WalknBook 3 comes with 10.1 inch IPS Touch Screen; 1280 x 800 resolution. 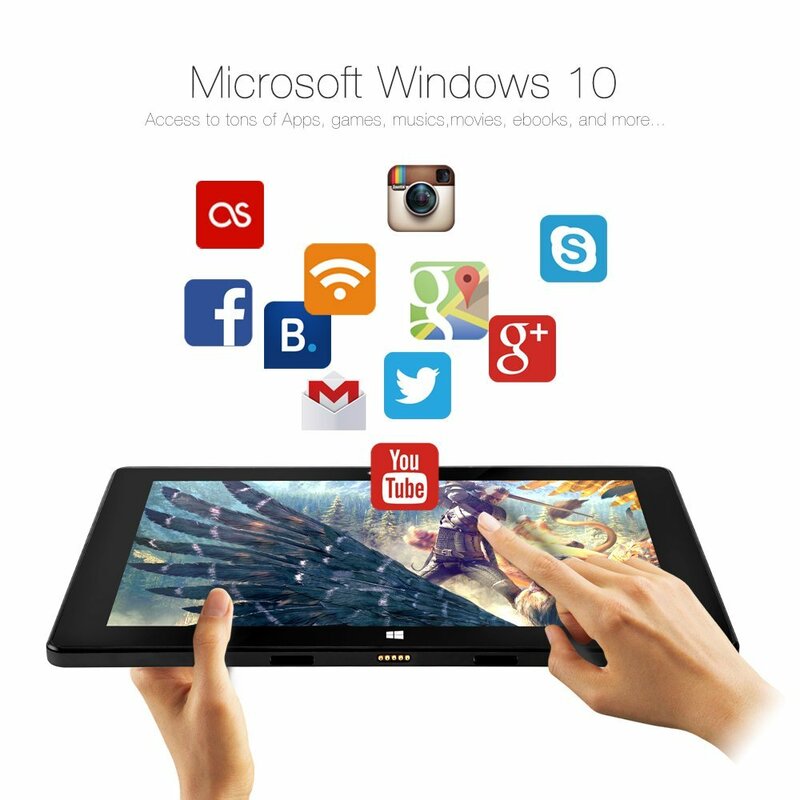 Microsoft Windows 10 OS; Intel Baytrail-CR Quad-Core Processor (up to 1.83 GHz with Turbo Boost). 2GB RAM and 32 GB Flash (expandable to 128 GB with Micro SD card). Dual Cameras 2 MP Front and 2 MP Rear, Bluetooth 4.0 and HDMI, 7000 mAh Battery. Includes Office 365, 1 TB OneDrive Cloud Storage. Includes Office 365, 1 TB OneDrive Cloud Storage.